Philanthropy — The P3 Group, Inc.
A heart that gives opens the pathway for more! Dr. Jeannine Skinner was a bright shining star in the world making an impact in the lives of many. She quietly navigated through life with dreams as big as the ocean. Sadly those dreams ended in September 2017. When we met, she was a professor at UNC-Charlotte, but I knew her as a passionate woman on a mission to stay healthy. Rarely did we discuss our daily endeavors but moreover our life experiences. During the 5:30 hour she’d slide in just in the nick of time for class, but would stop to ask “Hey sis, how are you feeling?” She would show concern as she noticed the struggle during those moments when my arthritic flare-ups slowed me down. Little did I know her work involved research that focused on physical, psychological, social, and environmental predictors of cognitive aging. She’d often find herself in awe of my ability to do a pull-up – something she’d been trying very hard to master. She was such a sponge to learn. I later discovered the work of her research - ha, then I knew why..
As you might imagine, it was a devastating moment the day I heard my sweet workout buddy had been taken from us. It was by the hands of a person she’d recently met who battled mental illness that she departed this life. It was then that I discovered more of the footprints she’d left behind and the work she’d done in the world. I’d had the extreme privilege of spending time with someone who live on purpose in relentless pursuit of discovery. The very thing I’d stood for and committed to for years- to live life on purpose and teach other women to do the same, Jeannine was that and more! I had a new depth of respect for her dedication, commitment and drive. I felt compelled to find ways to empower what she’d done and continue her effort. We give to be a light for an abundance of giving in the world. The scholarship endowment fund continues to move her work forward. Because Mental Health is on the rise and has such a stigma around it, this another cause worth efforts. 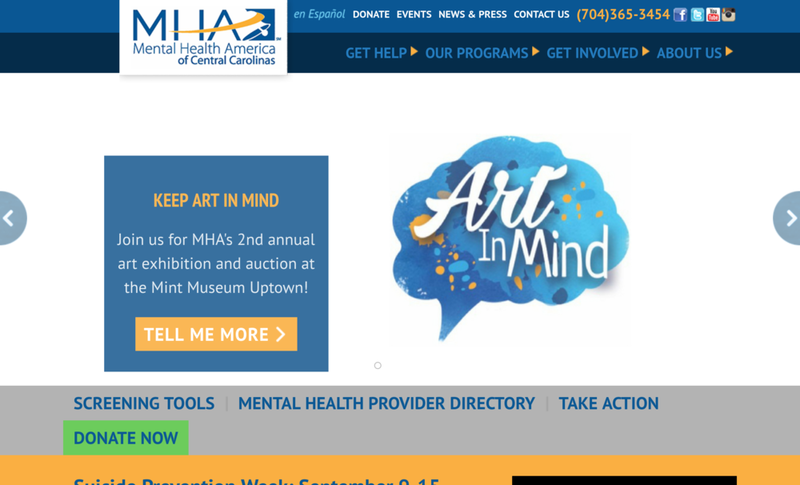 Mental Health America of Central Caroli has various initiatives to inspire change. Please click below to find out more and feel free to make a donation. Mental Health is on the rise in this country. We must take notice and address it head on. Our company has supported the effort of both to continue Jeannine’s Legacy and to contribute in education for those who battle mental health challenges. Join a conversation where we’re breaking stigma one conversation at a time. Click here to register for our: Coffee and Conversations. And If you are struggling with challenges, try a free screening. As we continue to find other organizations and causes, we will update our website and invite you to join us. We’re happy that you chose to come along with us in our journey to be a light for an abundance of giving in the world.